2015 Healthy Mothers Workplace Award! – W.O.M.A.N., Inc.
2015 Healthy Mothers Workplace Award! Last month, we were honored to receive the Silver Award for Excellence in Maternal Health and Equity at the Healthy Mother’s Workplace Coalition Ceremony. The Healthy Mother’s Workplace Coalition was developed by various community partners to “recognize San Francisco employers with policies that support the well being of their workers.” Their excellence awards honor establishments that promote health and equity of working parents by adopting fair policies regarding parental leave, lactation accommodation and work-family balance. If a teeny tiny organization like W.O.M.A.N., Inc. can honor working mothers, providing flexible work days, a private room for them to pump (if and when it’s needed) and give paid time off for parental bonding, I think all our organizations and businesses can! 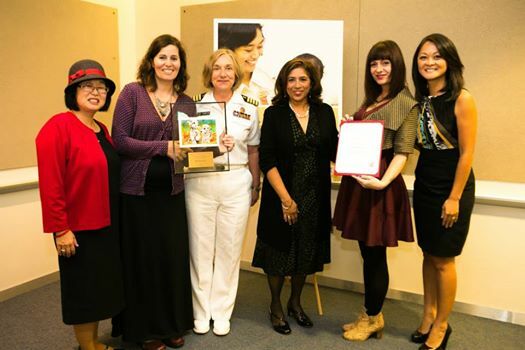 Thanks for the recognition, Healthy Mother’s Coalition! Next postWe Want YOUR Pet to be in Our 2016 Pet Calendar!